I had a plan going into the retreat this year. A schedule even...lol!!! I still chuckle at that!!! Basically, I like to sew to my heart's content, but this year I made a list of projects I wanted to work on. Usually, I pack some stuff to work on the morning I leave! Trust me, I am very laid back about it all...I nap and watch movies while away. It is all about enjoyment, not just sewing for me. With that being said, I actually accomplished a lot while I was there! 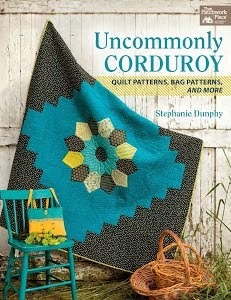 I have been wanting to make the quilt Round&Round by Camille Roskelley for some time. Pattern available here. Do you like my models?? I went outside to take some photos behind the bed and breakfast we stay at and within seconds they came to join in on the photo shoot! So sweet. Now...back to the quilt. :-) I used only fabric I had in my stash. I have always thought the pattern looked like wreaths to me. 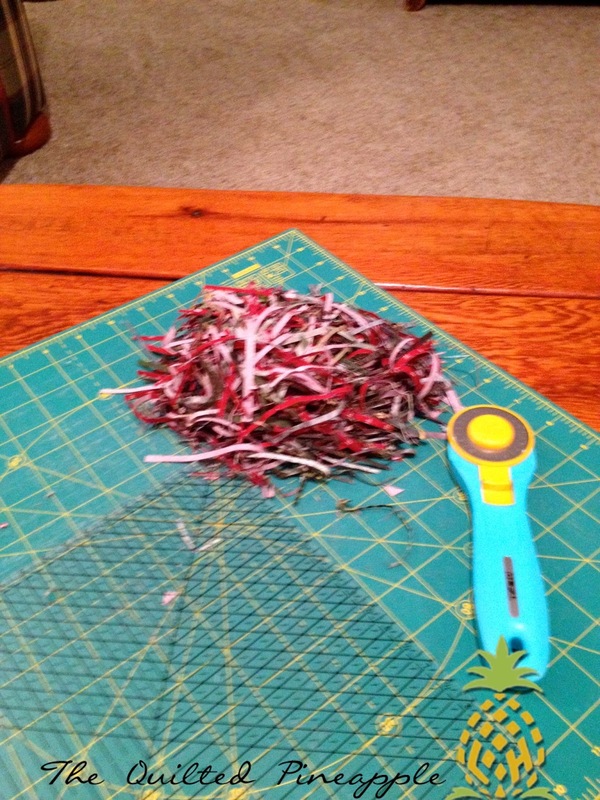 So I decided to use a red reproduction background and a variety of scraps and greens I had on hand for the "wreaths" or HSTs. I am super happy with how it turned out!!!! LOVE this pattern!!!! My test block before I made before I left for the retreat. 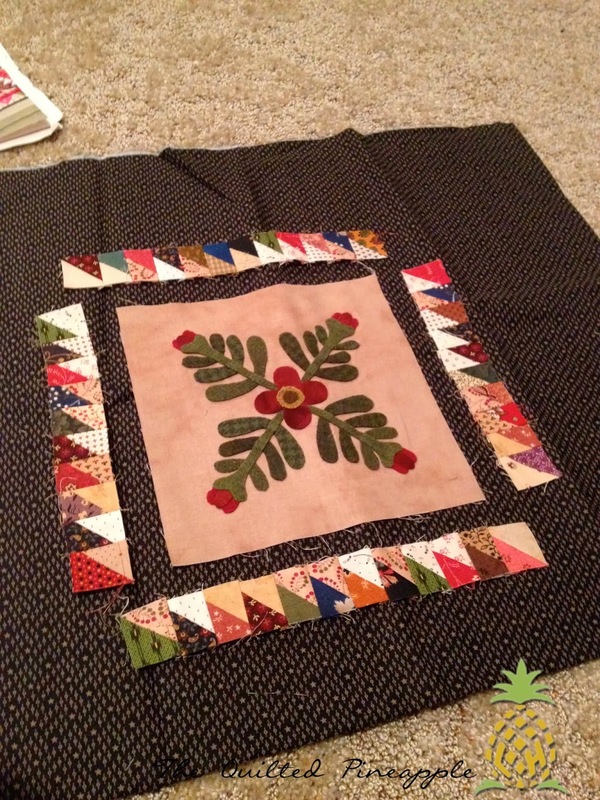 The quilt went together like butter after you square up and trim all the HSTs/half-square triangles. 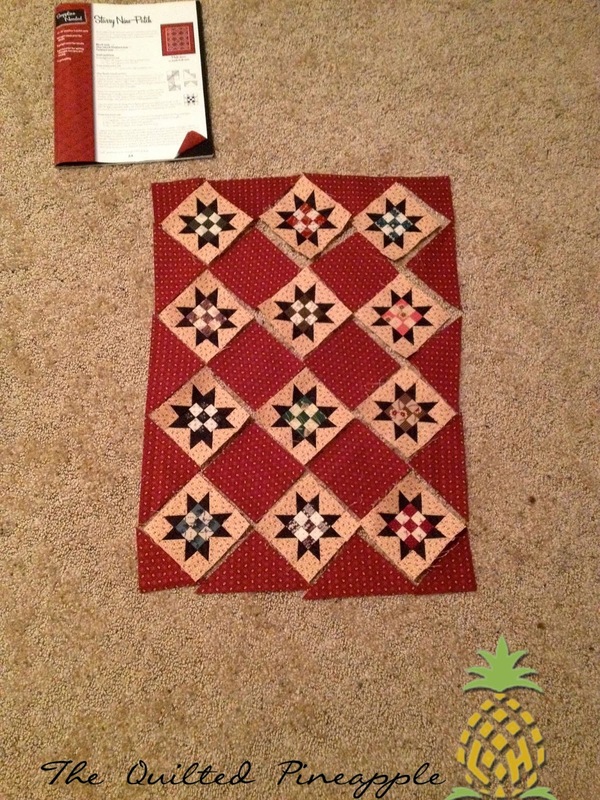 Next project up was a little quilt called Starry Nine-Patch Quilt for the book Nine Patch Gatherings by Lisa Bongean and Carole Charles available here. It was another project I have been wanting to make. The blocks finish at 3"!!!!! Then I switched gears to wool. 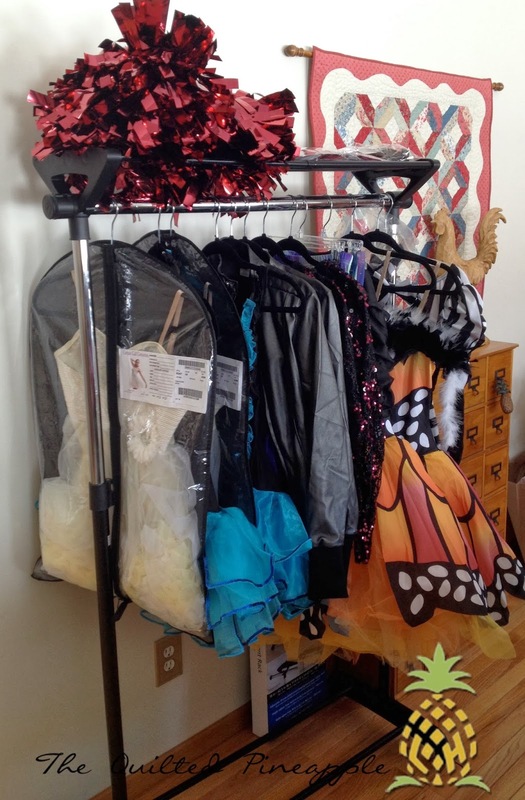 I had some projects I wanted to prep because dance season is in full swing here. I need some hand work to keep me busy! Surrounded by Lisa Bongean available here. I prepped the wool. All my HSTs are done! There is like 130 or 140 or something total that you need for the mat! 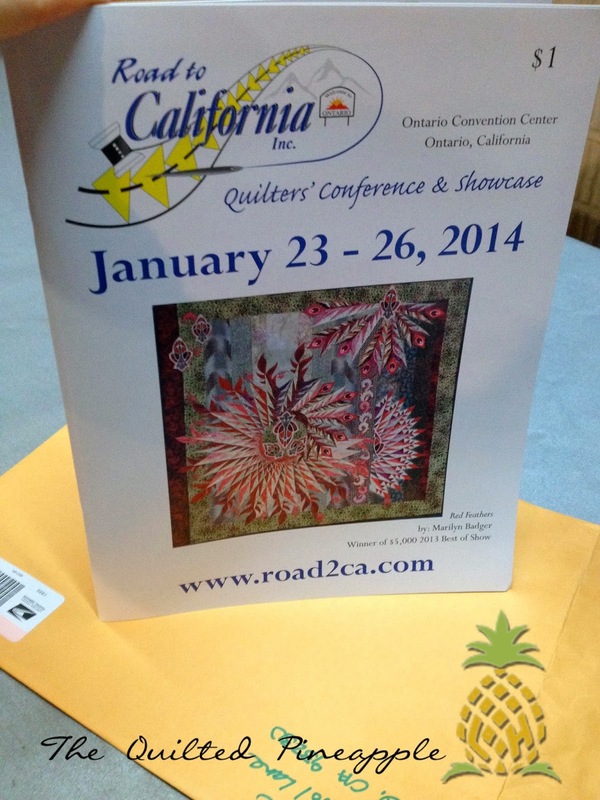 I wanted to send a HUGE thank you to Karen for sending me a show book from The Road to California show. How sweet is that?? Karen and I met through Instagram. So cool!! Karen also has a blog here. And thank you to everyone for their kind words regarding Portland Rose. Like I mentioned earlier dance is in full swing. The girls had a charity event they performed at last Friday. I never tire of watching them. I get so excited, I can hardly stand myself!! lol It was great practice for them to prepare for their competitions and great practice for ME to get them ready!! And you know I could not leave you without some quilting. There is A LOT of quilting happening!! 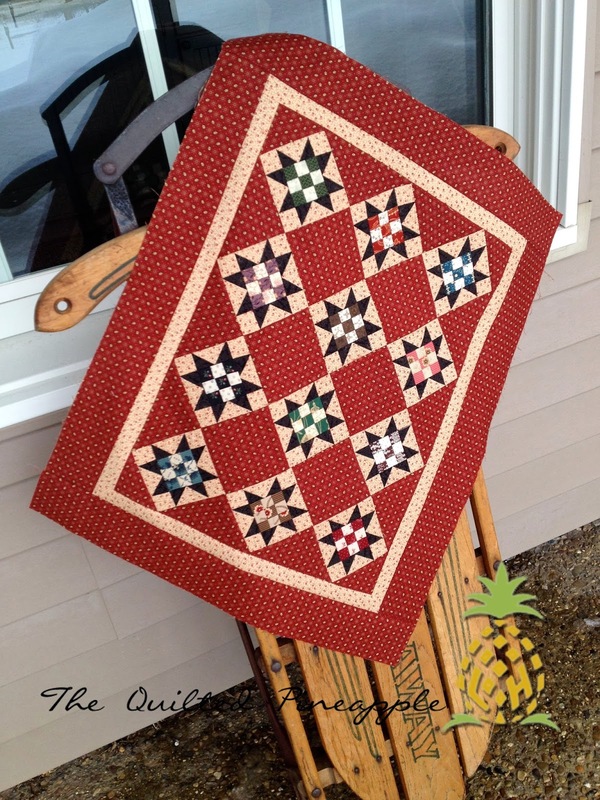 I love your round and round quilt, what a great colorway to make it in! 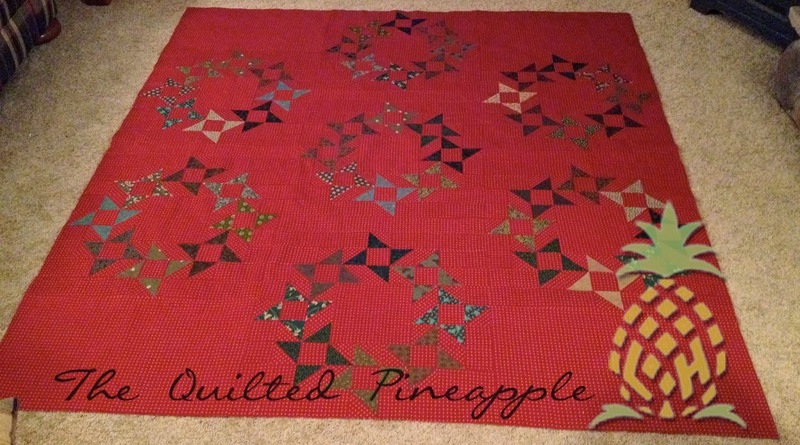 Just stunning, can't wait to see how you quilt it! Oh MY - You got so much done while you were gone! And I love every single project you were working on. Retreats are such a treat for us to attend - I'm sure you feel inspired and rejuvenated now that you're back home. Do you know if any of the other attendees blog also? Would be fun to see what they worked on. I have to tell you snow couldn't be prettier. That's THE only way I feel snow is pretty right now...a backdrop for a gorgeous quilt AND the models are the icing on the cake. Love all your work and saw it on IG already. 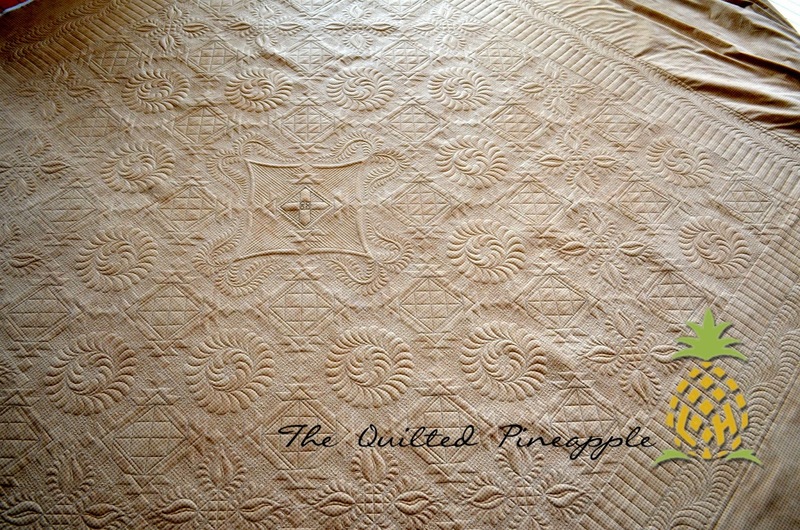 That Round and Round quilt is just gorgeous as is your quiltwork. Like I said someone should organise an exhibition with quilts you quilted .... and then show the backs! You used your time well, must have been a great retreat! I love that red you used for the background. You got a lot done! It really looked like you had a great time! 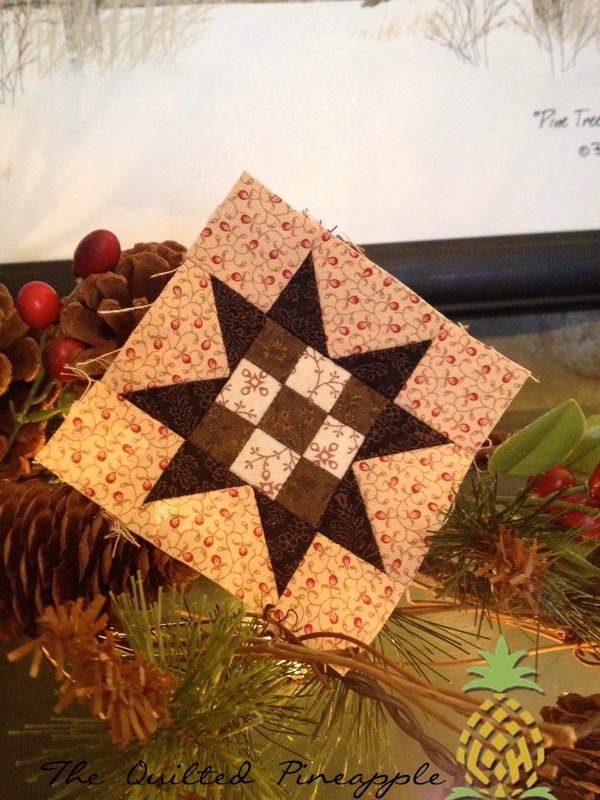 love the wreath quilt. nice job! 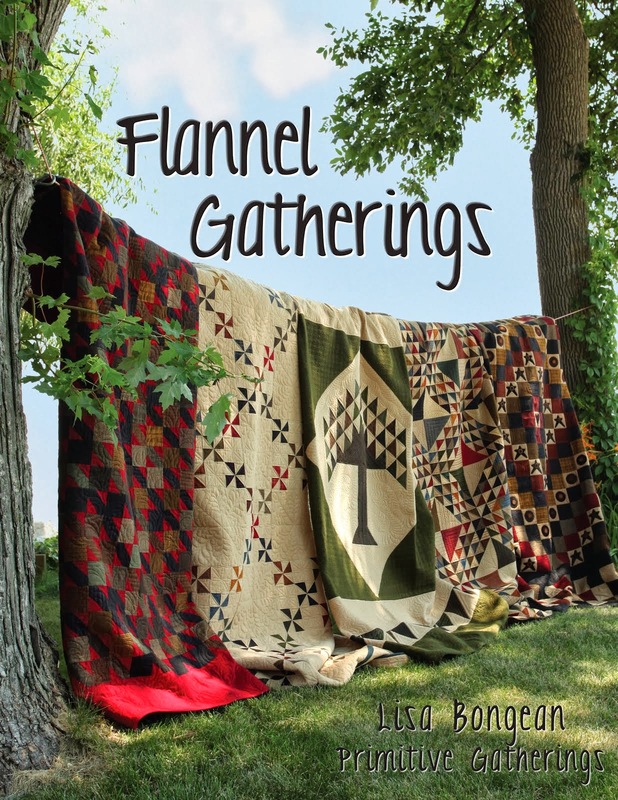 Sounds like a great retreat and beautiful quilts, love the colors. Oh, Linda, I really enjoyed seeing your projects. I must admit that I do miss it. I'm glad you were so wonderfully productive. Busy busy! Love your fabric choices. Your sneak peek is a tease! Bravo! I love your Round and Round! Your other projects are fabulous also! Nice that you were able to escape and get so much accomplished! Love all the quilts, but the round and round color choices are awesome. No wonder the horses wanted to be in the photo too! Love it. All of these are so very beautiful! Love all the red in the round in round... looks great with the ponies! ;-) And the runner is perfect for some Spring color in the house... have to go chekc out that 9 patch gatherings book... pretty stuff! Your retreat sounds like such fun! Boy, that Round & Round really fools the eye. Until you showed the close-up, I couldn't figure out how it was made. What a clever design! Starry Nine-Patch makes me smile. 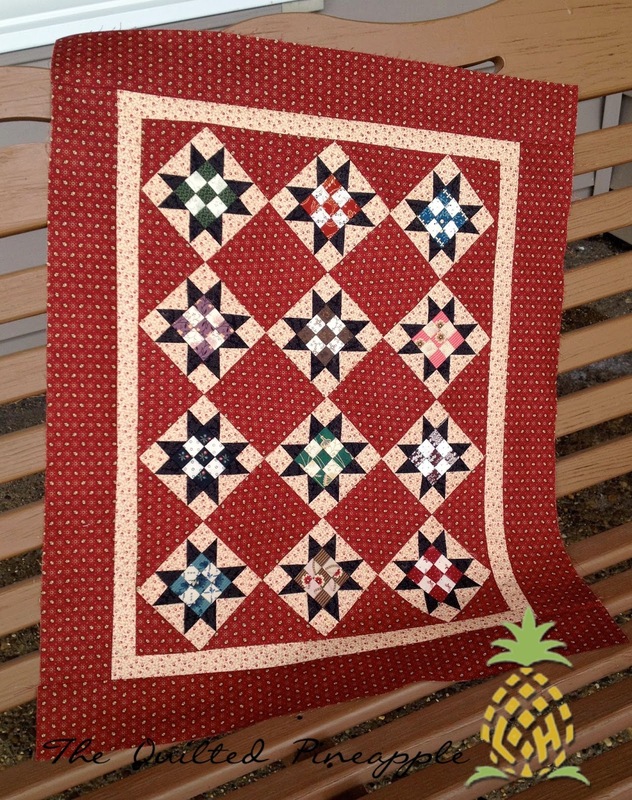 Just a wonderful little quilt! And your wool projects are beautiful! The back of the quilt looks amazing--I can't wait to see the front design, and the new line of Lisa's fabric!! Red may become my favorite color! 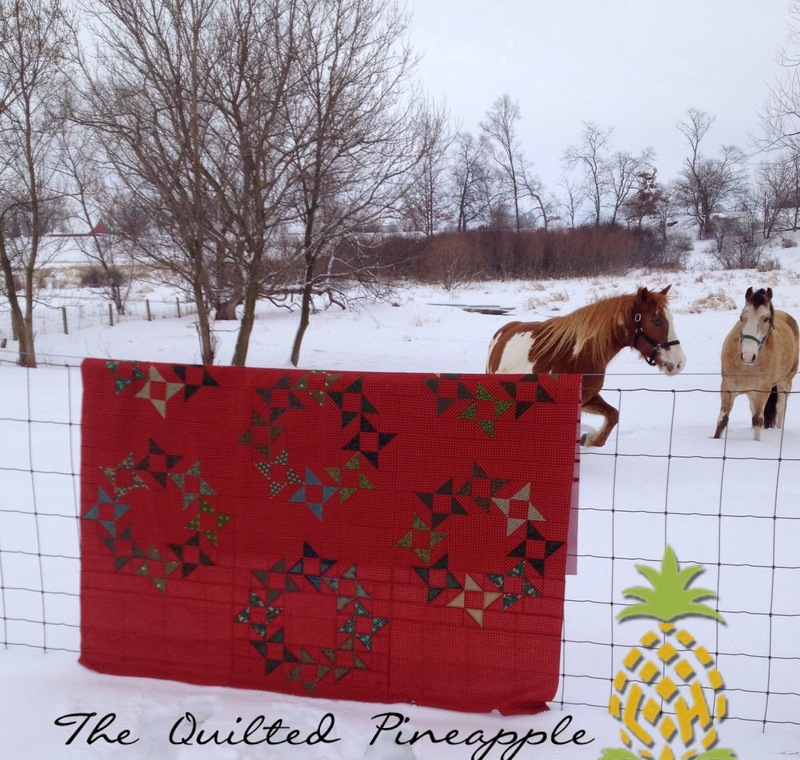 LOVE the Round and Round quilt, and the Starry Nine Patch mini, and the wool projects, and your quilting... love everything! Loving your little quilts too! You have been a busy lady!!! 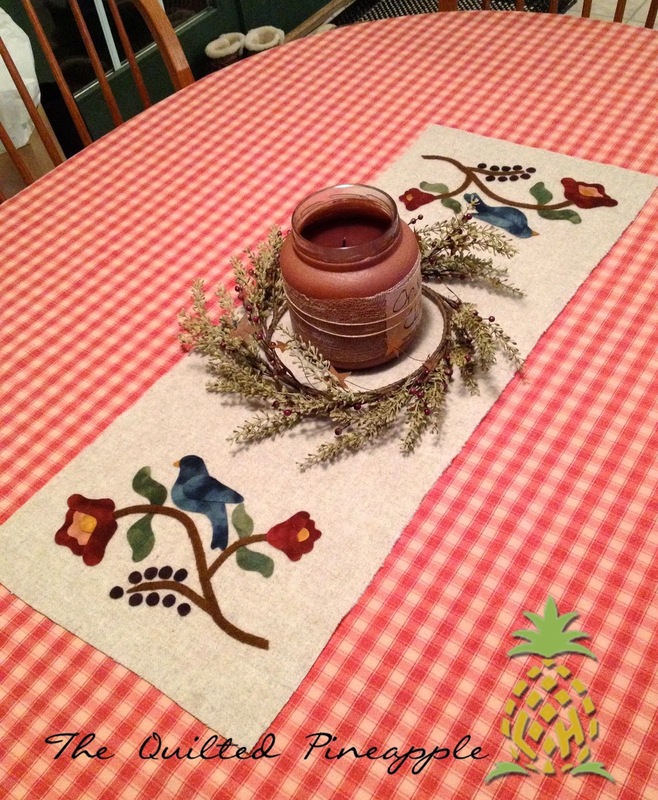 The back of your customer's quilt...yum!!! I Love that quilt, Linda! Got the pattern a while back and it's on my to-do list! I would have never thought to use red and green for the holidays! Great idea! I'm so glad your sister got to go - looks like you all had some serious sewing time! In love with your backdrop and models for your round and round quilt. 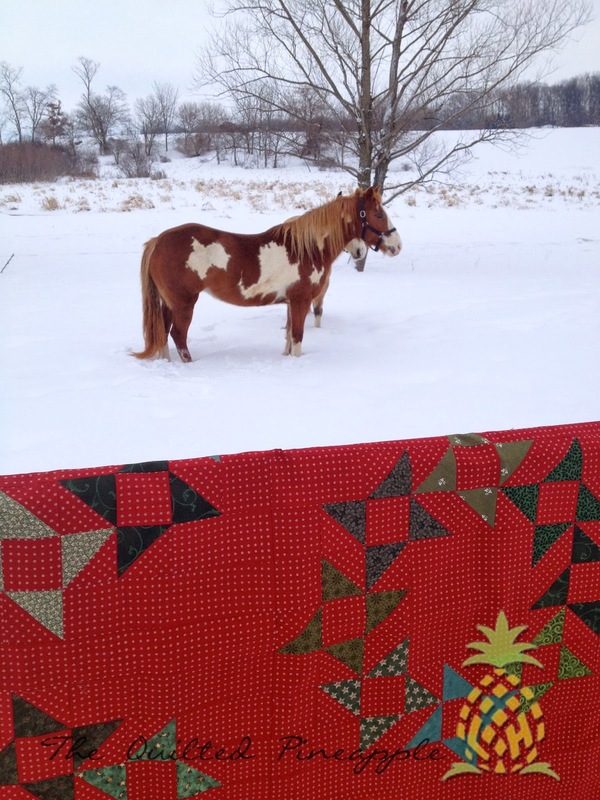 Of course the quilt is stunning and can not wait to see what you do with it. It must feel good to have gotten so much accomplished at the retreat. I am putting a retreat on my bucket list. Thanks for sharing all your beauties with us. Love every bit of this Linda! 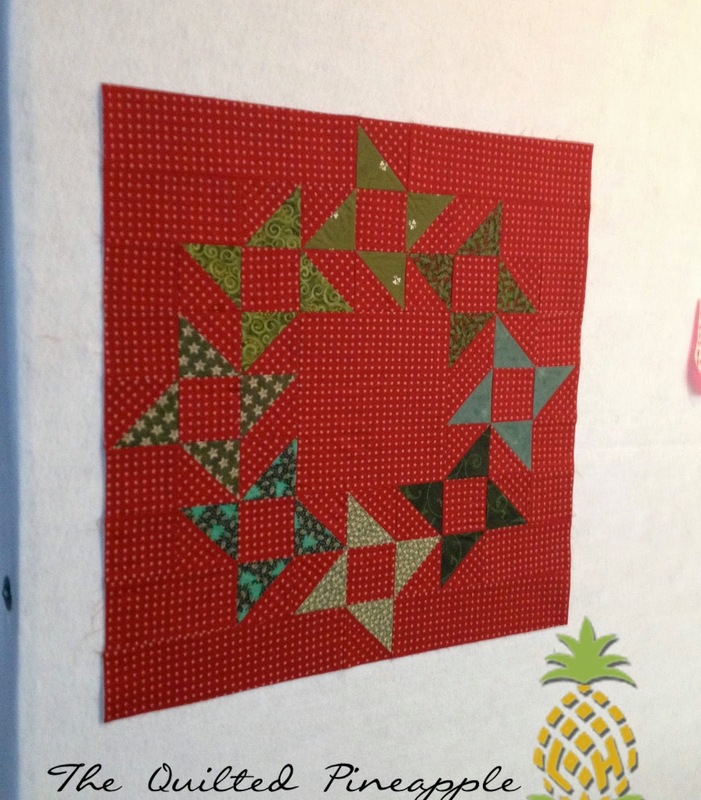 The red background is perfect on that quilt! And getting horses to model for you is awesome! I love those Lisa projects and have either done them or plan to! I was in her booth last week and could hardly contain myself! 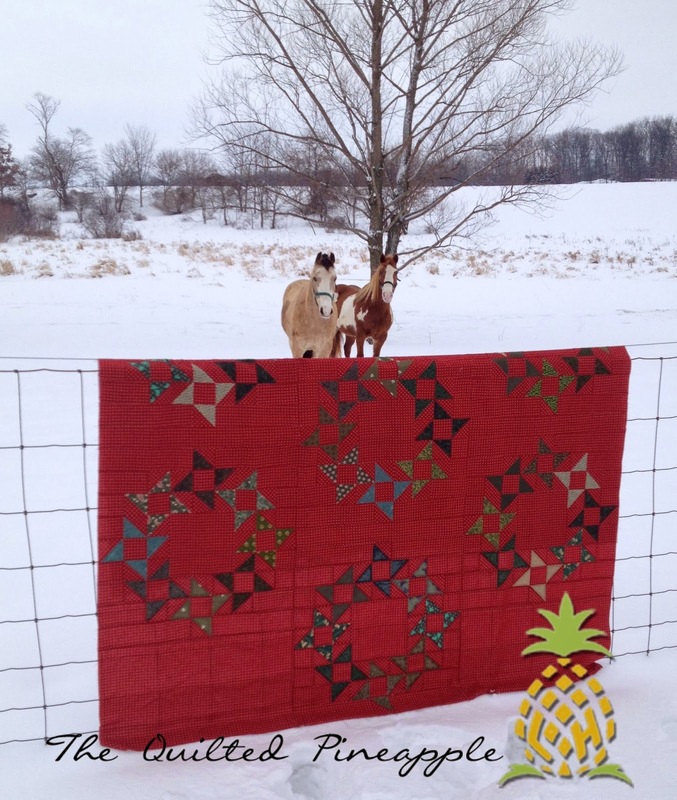 I love your red quilt and the other projects too. The scenery for your photo shoot was just perfect.